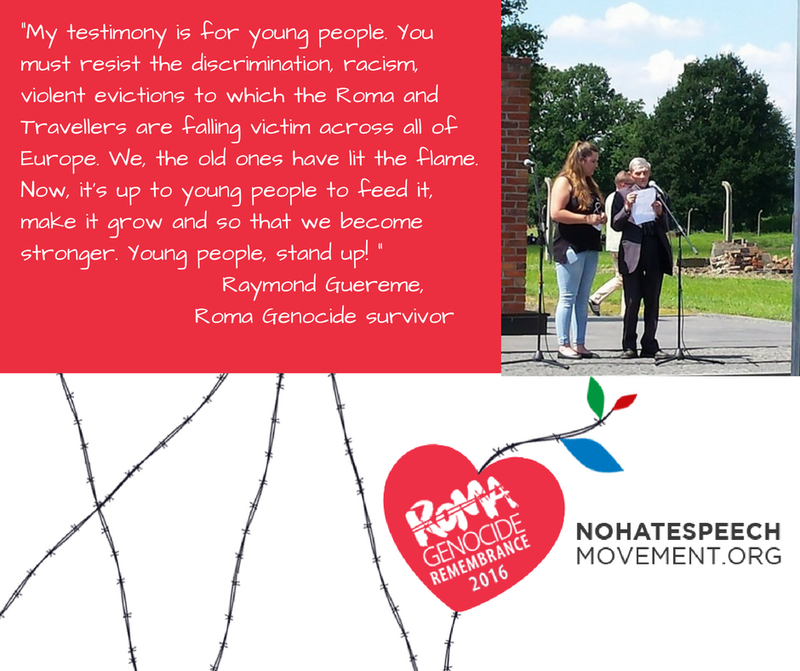 Roma Genocide Commemoration Initiative: Do we know how to resist? I just came back from the Auschwitz-Birkenau concentration camp. I am a Roma from Bulgaria and this year I again took part in the Roma Genocide Commemoration Initiative “Dik i na bistar” (Look and don’t forget) organised by a coalition of Roma youth organisations from across Europe. 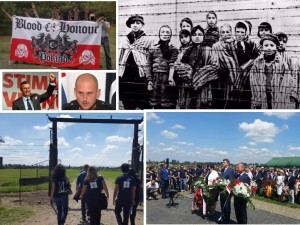 On August 1-5, 2016, around 350 young Roma and non-Roma from over ten countries gathered for a week to commemorate 2nd August, 1944 – the night when 2,897 Roma men, women and children were exterminated at the Gas Chamber V and burnt into a crematorium. 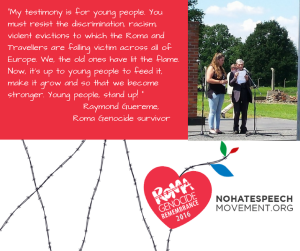 During this week together, we, the young Roma and non-Roma discussed a lot: about the power of resistance, about the antigypsyism across Europe but mostly about the importance of remembrance and commemoration. Having a few Roma survivors with us, we learnt first-hand what is to run from concentration camps, to daily witness death and to feel like your life costs nothing. From the survivors we learnt how difficult was to start a new life, free of fear. How to resist to the dark memories and to the sceptical present and how despite all, to find the internal power to enter the concentration camp again. Do we know how to resist hate and discrimination and how to “stand up”? Auschwitz-Birkenau, among many others, is a monument of hate and it is there to remind us the consequences. Despite all, Roma and many others today, still face the same discrimination. The examples are many, especially among today’s politicians. Banning of immigration, leaving of the EU and rising of neo-Nazi movements across Europe are just part of the consequences of this political hate speech. However, politicians are people and hate is among us, people, no matter what we work and how rich we are. One of the stunning stories I heard during the Roma Genocide Commemoration Initiative was of a young Roma from Serbia. Currently living in Austria, he shared the story of his mother who takes care of elderly people there. One day his mother came home very upset and angry. An old lady in the nursing home was openly Nazi and she was encouraging her young grandson to be a proud Аryan and to hate others. The mother of our friend, who is Roma, despite all, followed the moral of her job, and did not treat the old lady differently in the provided care. She had to resist. Another young Roma man from Bulgaria also shared a story. When he was a student in the elementary school, all the children were harassing him for being a “Gypsy”. Moreover, teachers had lower requirements towards him as he was considered to be less capable than other non-Roma students. The young man managed to overcome the social stigma and to become one of the best students in his class. He had to resist. If you fail to resist you become part of the societal margins and you lose your self-esteem. And if you lose your self-esteem others are harassing you even more. And if the majority thinks that you, and other in your shoes, who are also being harassed, “deserve” a low treatment, then it is becoming the social norm and truth. And if this is the social norm and truth then one day you just vanish: you are being mentally (or physically) exterminated. And this is considered to be normal. Unless we learn to resist. Unless we open up and share the pain and the stories. Unless we don’t forget the past and unless we stop hatred today. You don’t know where to start from?